Dress your stemware in style. 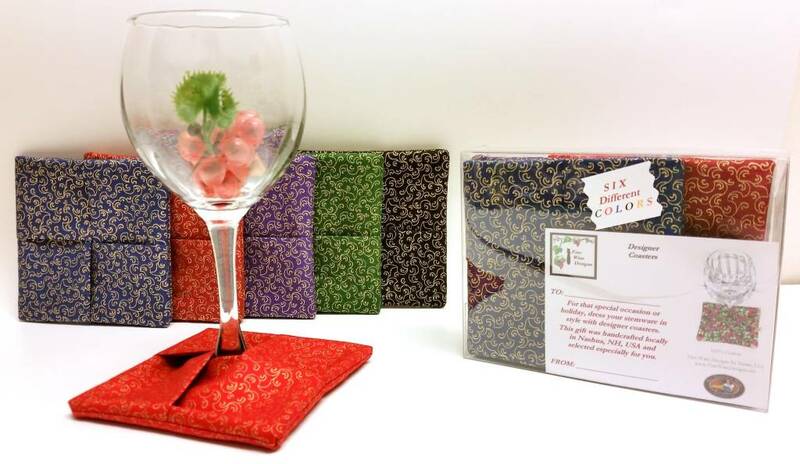 Dress your stemware in style with Designer Stemware Coasters. 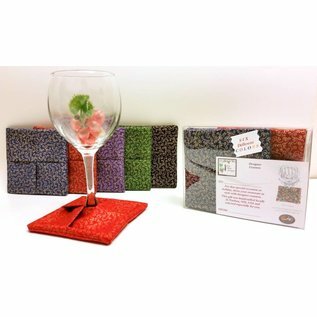 "Fine Wine Designs offers Wine/Spirits Gift Bags and Designer Stemware Coasters, designed and handcrafted locally in Nashua, New Hampshire, USA. My goal is to provide Quality Products and the Best Customer Service possible. Each gift bag and coaster is hand-crafted with personal attention. I strive to deliver a quality, affordable product that will bring a smile to the face of the giver as well as the recipient. I select all of the fabric designs, choosing only those I would use for my personal gift-giving needs. From start to finish, each gift bag and coaster is created with special care."